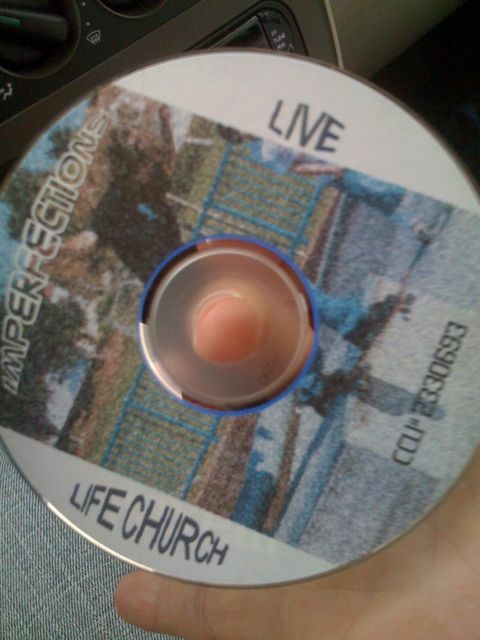 So I was planning on sticking with the plan to only post about my forgotten experiences at Catalyst West, but I woke up early today and have been listening to an old CD that we made when i was at Life Church in ’02. For those of you who don’t know, we moved to the Temecula Valley in ’02 to start a Church that we named Life Church (not affiliated with the Oklahoma Church). Thank you John Ruhlman for your leadership in those early years and for taking a chance on me and our team. Thank you to my wife for embarking on this crazy adventure that we call “Church Planting”! Thank you to the C&MA & Don Brust for believing in and supporting us. Thank you God for not striking us down with lightening when we messed up and wounded your people because of our arrogance! Yes, that was a great time. It was always a blessing leading worship with you. God used you to teach me a great deal about Himself and worship. Thank you for the opportunity. Life Church (Circa 2002) changed our life forever…it was a great time, great friends, so much possibility. it will forever be a huge part of who we are. Thanks for being a part of that! Life Church was good back in the 2002-03 years till John showed his true colors. Eric you picked a great time to leave. It seems Johns turnover for staff changes very year and now claims he was never part of the C&MA. John Ruhlman was a crook. He had an affair, he used everyone in the church, took money, told everyone lies about his divorce. His wife left because she could not live with all of the lies any longer. I cannot believe he is now a head pastor at another church. He is a fake!